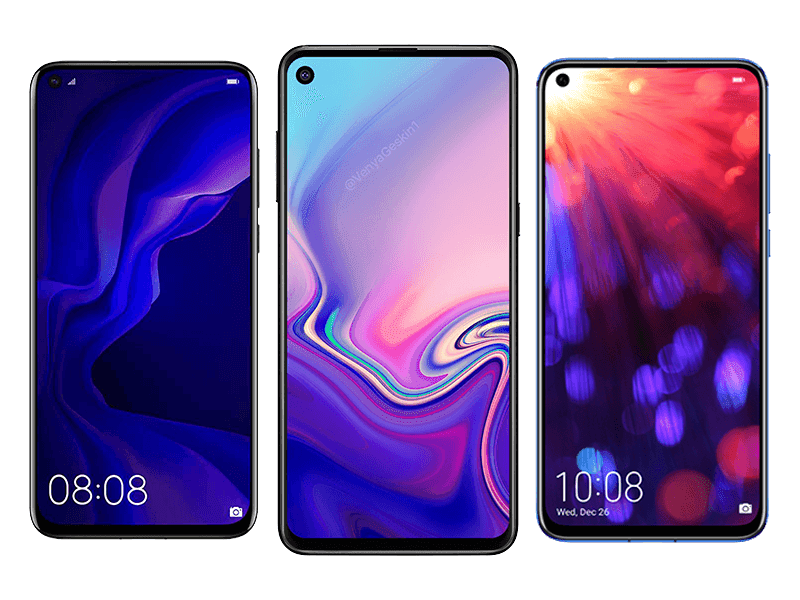 Aside from the pop-up or sliding cameras and dual-screens, punch-hole screen is a new solution to create smartphones with bezel-less yet notch-less displays. Smartphones with punch-hole screens have a full-screen design with a tiny hole on the upper part of the screen to house the selfie camera. To my eyes, it is a neater looking implementation of a bezel-less smartphone. Brands like Samsung and Huawei/Honor recently started the punch hole in the display revolution. We are sure that it will be the display trend in 2019. If you are looking for one, here's a list of devices punch-hole screens. 1. 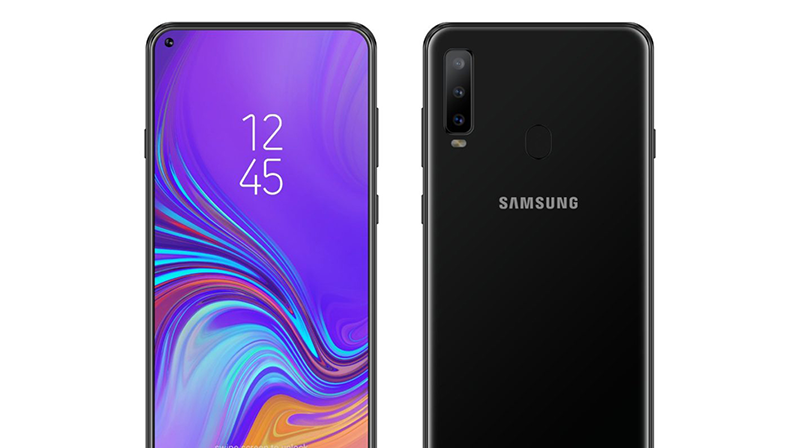 Samsung Galaxy A8s - Samsung dubbed this tech as the Infinity-O screen. Galaxy A8s is the Samsung device with such screen. It features a big 6.39-inch FHD+ Infinity-O screen with a hole found on top. It is powered the by Snapdragon 710 mid-range SoC, up to 8GB RAM, 128GB expandable storage, and 3,300mAh battery. Like the Galaxy A7 (2018), the ghandset also has a triple-camera setup. It features a 24MP f/1.7 sensor, 10MP AF telephoto sensor, and 5MP f/2.2 depth camera. There's a 24MP f/2.0 selfie shooter with face unlock in front. Sadly, the A8s is also the first Samsung smartphone with no 3.5mm headphone jack slot. The headphone can now be plugged in the charging port. The phone boots with Samsung Experience 9.5 skin based on Android 8.1 OS, and support for the new generation Bixby. 2. Huawei Nova 4 - Huawei's Nova 4 is a promising one too! 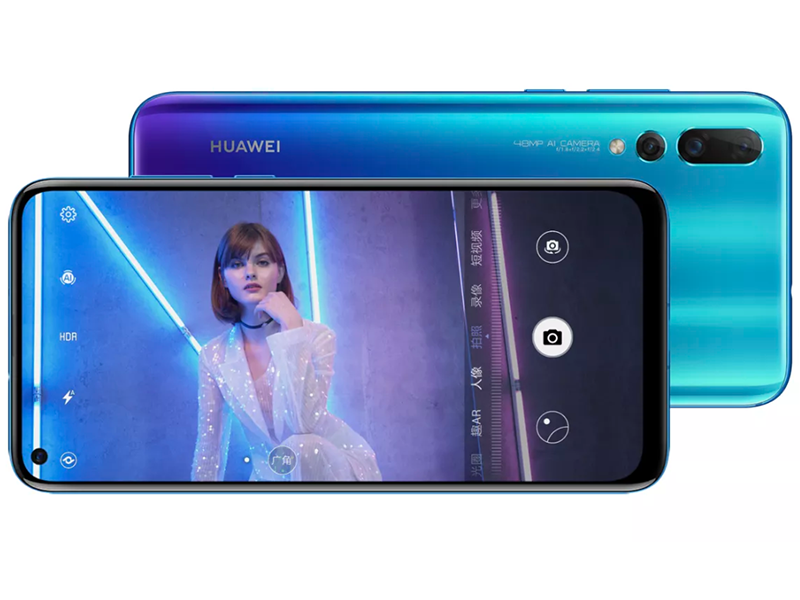 It comes with a large 6.4-inch FHD+ 19:25:9 display with 2310 x 1080 resolution with a hole in the upper left side of the screen for the 25MP selfie shooter. Inside, it is powered by the Kirin 970 AI SoC, Mali-G72 MP12 with GPU Turbo, 8GB RAM, 128GB storage, NM card slot up to 256GB, 3,750mAh battery with 18W USB-C charging, 48MP main camera, 16MP secondary sensor, and 2MP depth camera. As expected, it runs with EMUI 9.0 skin based on Android Pie OS. 3. 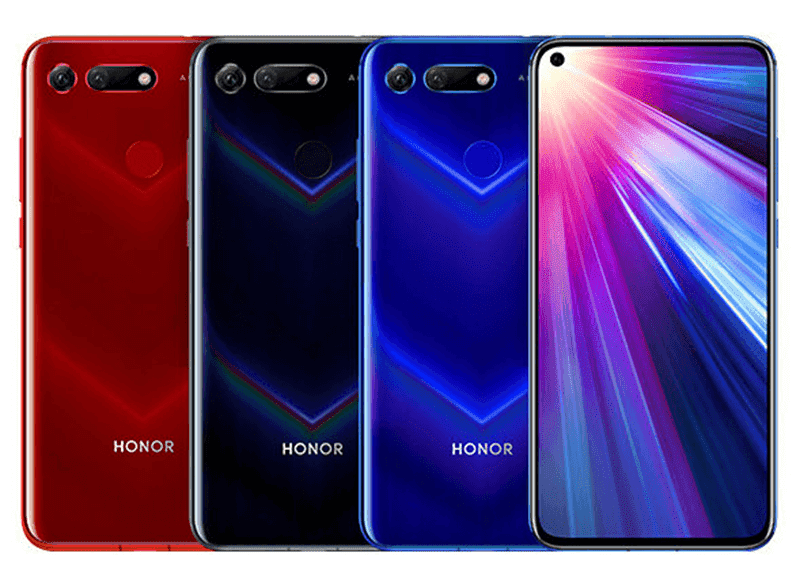 Honor V20 - The Honor View 20 is the most powerful in this list. It is using a 6.4-inch FHD+ screen with In-Screen 25MP f/2.0 selfie camera. It is powered by the beastly 2.6GHz 64-bit Kirin 980 octa-core processor w/ Dual-NPU for AI, up to 8GB RAM, up to 256GB storage, 4,000mAh battery with 22.5W USB-C fast charging, 48MP f/1.8 primary shooter with TOF 3D camera, 4G LTE Cat 21, and EMUI 9.0 skin. The unannounced Samsung Galaxy S10 series, Nokia 8.1 Plus, and Motorola P40 are also expected to feature punch-hole screens. Note: All of them are not yet available in the Philippines. We will update this list if there are newly released phones with such tech.